Melanie obtained an Associate of Accounting degree from Lincoln School of Commerce in 1984. Melanie obtained her paralegal certificate from VTI Institute for Paralegal Studies in 1989, and her Certified Legal Assistant certification from the National Association of Legal Assistants in 1991. Prior to entering the legal field, Melanie worked in the accounting departments for a variety of corporations in Dallas, TX ranging from restaurant management to real estate. Melanie has worked as a legal secretary, legal assistant, and paralegal with various law firms with practice areas ranging from Plaintiff’s personal injury and labor disputes, to insurance defense, criminal defense, and family law. She joined MCI’s patent department in 2000, and worked for Alcatel-Lucent as a patent assistant for six years before joining Garlick & Markison in 2007. Melanie was promoted to Sr. Paralegal in 2009, and Administrator in 2012. While at Garlick & Markison, Melanie has been instrumental in improving and developing quality and process management protocols, as well as establishing a new data management system. 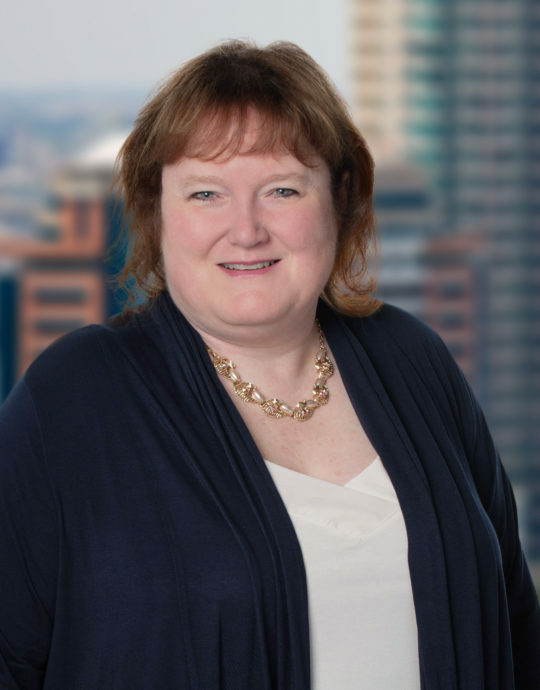 Melanie is responsible for supervising five patent assistants and numerous administrative support personnel, ensuring compliance with client procedures, billing, and many other areas where the partners at Garlick & Markison require her assistance.